Kingdom of Rats,” Part 3. 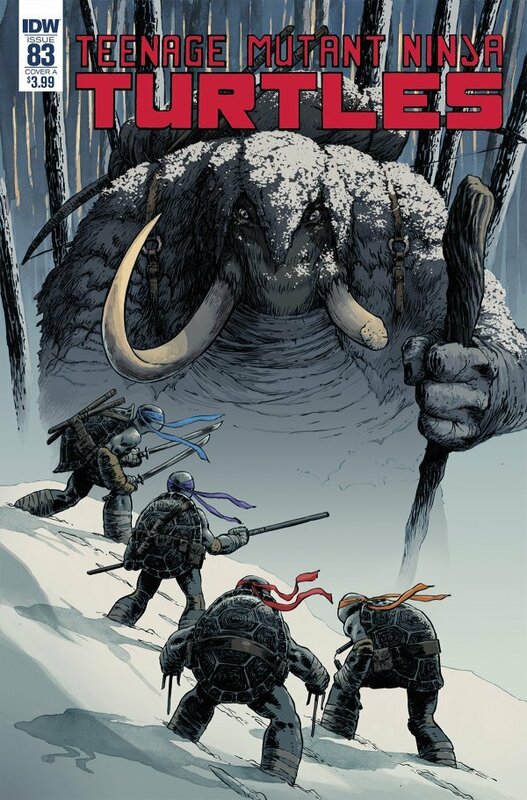 In an effort to thwart the Rat King, the TMNT travel to distant Siberia to try and enlist the help of his brother, Manmoth. The Turtles soon find that his welcome is less than warm in their new surroundings! Manmoth doesn’t give too warm a reception, but I think that was to be expected! He’s an interesting character and I think I’ve got him worked out, so his reaction wasn’t too much of a surprise. Michaelangelo gets some credit though, which is good to see, as he isn’t the most action heavy (or clever) of the brothers! We get some check-in’s, first with Baxter and he’s getting questioned by April about his meeting with Agent Bishop – she seems to suspects, but lets it go for now. She’s made a better rat catcher (mousers!!) Talking of rats, Rat King is still off with the children and seems to have some bad ideas in mind! The Foot are still about, making their presence felt, and there are some interesting interactions with Casey and the Purple Dragons! Manmoth and the TMNT continue their chat, and it seems like he doesn’t give much away, but Leo has a plan! This was a good issue, with some nice action and information split across the TMNT world – I’m intrigued to see what happens next!